Everlast manufactured size “L” cornerman jackets. Across the chest of one and on the left chest of one reads “EVERLAST” with “Cut Dr.” on the right chest. 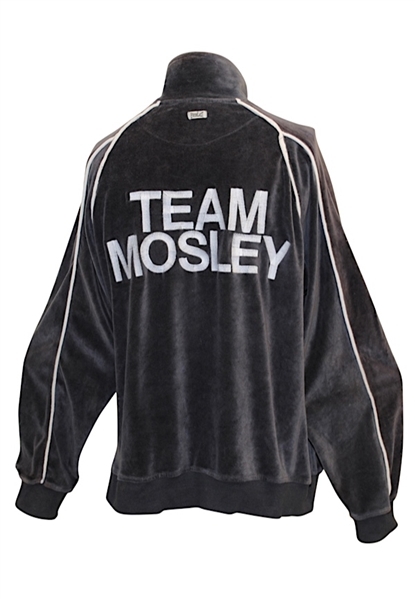 Across the back of one reads “TEAM MOSLEY” and across the back of the other reads “Simply The Best TEAM MOSLEY”. These cornerman jackets are properly tagged and were presented to us as fight-worn.